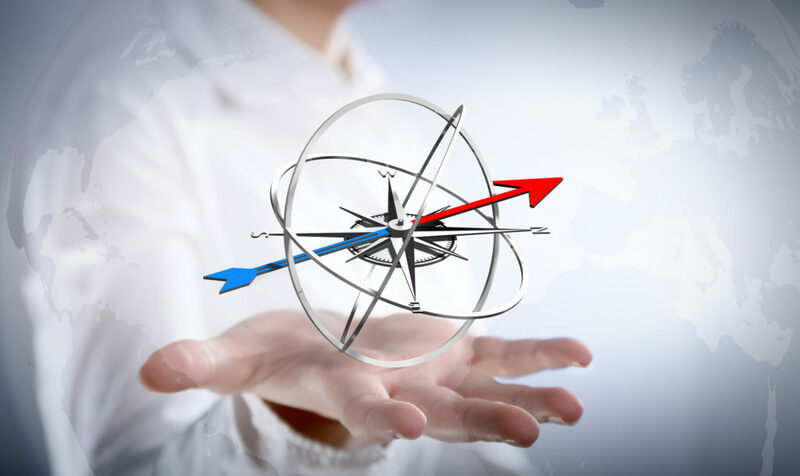 Finding your direction in the social sector can be daunting. With limited resources and so many competing interests vying for our time and attention, it would be helpful if we had a compass to guide us toward our “north star” of social change. At Social Impact Architects, we use “theory of change” with our clients to help steer them in the right direction. That said, when we bring it up, we find people often shudder at the thought because it sounds overly complicated. This could be because some conflate theory of change with logic models, which leads to definition debates. And, that conflict often creates more confusion. But, theory of change doesn’t need to be complicated. Here’s how we show our clients how to simplify the concept. We start with a cookie. How do you create the perfect chocolate chip cookie? People have different opinions about the perfect chocolate chip cookie. What is the recipe? Is it chewy or crisp? What goes into making it? Does it matter that it is warm and fresh? Do you need a chef to make it? (In client meetings, we often pair this exercise with warm cookies from our local bakery for an added bonus.) We crowdsource the decision on what constitutes the perfect cookie and then reflect on the process. By stepping outside of our complex world in which we are trying to save lives and change people, using a cookie analogy helps staff understand the why and how behind impact management. After concluding our cookie exercise, we shift back to theory of change and ask the question – how do YOU create impact for your organization or program? What is your secret recipe? What is success to you? The answers to these questions lead directly to YOUR theory of change, which is your organization’s belief about how impact will happen. To us, a logic model is your organization’s roadmap to evaluate its impact, and a theory of change is your compass to guide you toward that impact. Theory of change is a relatively new concept – it evolved over the last decade as a tool for social entrepreneurs to evaluate the impact of social programs. Now, according to research by the Innovation Network, more than half of nonprofits use a theory of change and almost 80 percent crafted (and re-crafted) one in the past year. For data geeks, theory of change is a hypothesis about the causal relationship between what impact you expect and how you can achieve it. For marketers, it is a headline that answers the critical question, “Why should I care?”, and can spark the interest of investors. It should connect the dots between your strategy and your story. What is your intended impact for the program/organization? What problem are you trying to solve? What are the underlying causes? Who is impacted? Is the impact deep or wide? What are your short-term and long-term outcomes for the program/organization? What activities must occur in order to achieve each long-term outcome? What is your unique value proposition to the community for the program/organization? If your hypothesis is correct, what is the ultimate outcome for the community and/or society? If the problem is solved, what will happen? How does your theory of change relate to your strategy and the organization’s vision and mission? Example: By offering a financial workshop program to its target group, the XYZ Organization aims to improve knowledge and attitudes about the American financial system and change financial behavior, which will improve the target group’s economic situation and, in turn, that of their families and communities. Is your theory of change meaningful and inspirational to you and the community? Is your theory of change unique to your organization and its program design? Is your theory of change clear on who you serve, what benefit you are uniquely creating and how change will happen? Is it plausible to external stakeholders? Is it doable based on internal resources? Creating a theory of change for your organization or program is like creating your own north star. If you do it well, it will help you prioritize goals that will yield the greatest impact. We hope we have clarified the reasoning behind theory of change and given you a fun way to develop or refine yours to make it your own. We’d love to hear your questions about theory of change and how your organization has used this concept as a guide toward impact.